Primo Pup Vet Health/Blog/Health/How Well Can a Dog See? We all love looking at dogs. Sit eye to eye with a furry friend and you will likely get a happy, curious gaze back. It’s a fun and heartwarming exercise. But have you ever wondered what they see when they look back at you? 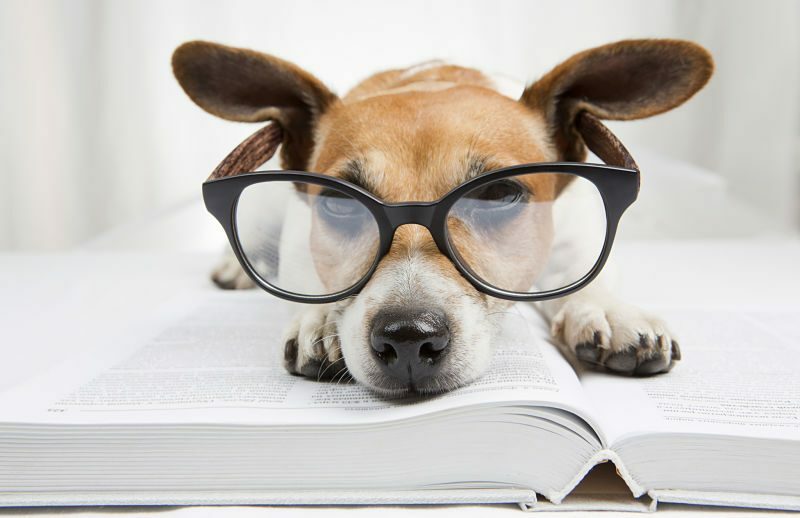 It is fairly common knowledge that dogs have poor eyesight, but what does that mean? Is everything they see blurry? Can they see colors? Can they see in the dark? The answer to each question is actually both yes and no. Most dogs have 20/75 vision, compared with 20/20 being normal vision for a human. This means they are nearsighted, or unable to focus clearly on objects unless they are relatively close to the eye. Dogs are also unable to change focus quickly because the muscles that change the focus of their eye are weak. Some people claim that dogs are completely color blind while other believe they can see every shade of the rainbow, including a favorite red cat sweater of their owner. The truth is, the canine retina lacks the photoreceptors for the colors red and green. That means that they see colors very similar to how a red-green colorblind person would. They are able to see red and green colored objects, but perceive them in shades of gray rather than the bright tones of red or green hues. While a dog’s focus and color perception is lacking when compared to a human, their night vision makes up for it! Dogs have large pupils and lots of cells, known as rods, in they eye for picking up light. This means that a dog’s eye can see very well in situations with very little light. You might have noticed this distinction at home when you are fumbling around in the dark but your dog has no problem getting around. Of course, vision is only one of the senses. Dogs have excellent hearing and sense of smell, which makes up for a little less crisp eye sight.